Whether or not to take supplements – that’s a huge question that a lot of women are asking. On the one hand they are touted by pretty much every natural health nutrition guru out there as the cure you must have for your every ache and pain, and on the other hand, vilified by conventional scientists and the media as potentially dangerous. Really, the truth is somewhere in between. There’s a lot we don’t know supplements but we do know, scientifically speaking, that having adequate nutritional intake is critical for our health, that many of us are not getting all the nutrition we need from our foods, and that some nutrient supplementation can provide a buffer that keeps our heads above water, nutritionally. While I believe our food should – and can be – our primary source of nutrients, the reality is that for most women, busy lifestyles don’t always allow us to eat optimally all of the time. Most Americans are lacking in the vital nutrients we need. A large 2009 study found 80% of Americans are low in virtually every color category of fruits and vegetables (leafy greens, red, orange and yellow fruits and veggies, and the blue-purple colored ones) leading to low level nutritional deficiencies in plant-based vitamins, minerals and phytochemicals (special plant-based chemicals that support detoxification and prevent inflammation). Yet we know from study after study that 80% of the chronic diseases we face as we age are preventable with a healthy diet, particularly the nutrients we get from fruits and vegetables. In 2009, the World Health Organization published a report stating that we have a nationwide magnesium deficiency – 75 % of Americans consumed less magnesium than needed for health. Low magnesium is associated with Type 2 diabetes, metabolic syndrome, elevated C-reactive protein (a major blood marker of inflammation), hypertension, atherosclerosis, migraine headache, and causes anxiety, sleep problems, depression, menstrual cramps, heart palpitation, chocolate cravings, and restless leg syndrome. Low magnesium is also a risk factor for Hashimoto’s thyroiditis. The statistics are grim on us getting adequate amounts of a number of other nutrients as well. On top of this, the daily stressors that most of us face can, over time, take a toll on our health. I don’t mean just the emotional kind of stress, though that can have an impact on your nutritional status, too. I mean the environmental kind – toxins in our air, water, household products, cosmetics – pretty much everywhere – that require our bodies to work overtime detoxifying, which uses up a hefty dose of the phytonutrients and phytochemicals that help us detoxify and protect our cells from damage. Protective nutrients mean less inflammation, better elimination of environmental toxins, clearer thinking, more energy, and even slower aging! While I’m a strong proponent of getting our nutrition from our foods, the sad reality is that between what the modern food industry has done to damage the quality of our food in the past 60 years, and the fact that most of us are too often too busy to eat optimally, your diet isn’t always enough to give you all you need. So while we don’t have to pop a handful of pills and capsules every day or spend a fortune on vitamins, minerals, and herbal supplements, to be healthy, the nutritional support that supplements provide can help you to stay at the top of your wellness game when life is throwing you curve balls that keep you from taking care of yourself as well as you might wish, and can provide a boost of nutrients that help us during specific times in our life cycles, for example during pregnancy, and as we get older. Do You Have a Nutrient Gap? I spend less than an hour outdoors in the sunlight every day in the summer, and less than several hours outside daily in the winter months (because it takes about that much to get enough daily vitamin D from the sun!). What Supplements Should All Women Take Daily? Based on several decades of research and practice in integrative women’s health, these are the nutrients I often recommend women to supplement daily. Unless otherwise specified, these are safe if you are on medications, pregnant, or nursing. A multivitamin/multimineral supplement to provide overall support and protection. Taking a multivitamin daily helps make sure you have the bases covered. I prefer Rainbow Light Women’s One, which is whole foods based, and only requires taking 1 pill daily. But any whole foods multi is usually a good bet. Go for non-GMO, organic, and free of dyes, additives, and colorings. Vitamin D3, for a total of 2000-4000 units daily. Vitamin D is responsible for hundreds of functions in the body, from healthy immunity to healthy bones. Vegetarians often ask me about a non-animal source. Unfortunately, I can’t give you a definitive answer as to whether vitamin D2 or lichen-sourced D3 is as usable by the body as animal-based vitamin D3. Although you do get vitamin D from sun exposure, it may not be enough. It’s best to get tested before supplementing so that you know how much you need. Ask your doctor to have your 25,OH-D level checked. An ideal test result should be between 40 and 80. Magnesium I recommend glycinate unless there is constipation, and if there is, citrate often does the trick, for a daily total of 600 mg daily. Magnesium supports healthy bones, restful sleep, relaxed muscles, and balanced mood. Fish oil, 1-2 capsules daily. Omega-3 fats are important for reducing inflammation, heart health, mood, mind, hair, and maintaining healthy weight. An alternative source: DHA and/or EPA (plant-based Omega-3s). Vegans can take algae-sourced DHA, such as Life’s DHA. Just keep in mind that DHA is not as easily converted to EPA, so you’ll need to take a higher dose. Rejuvenation Science Labs has a vegan DHA and EPA supplement, which covers both bases, although I have not personally tried this brand. For vegans: Vitamin B12 daily supplementation of 2.4 micrograms is especially important for vegans since B-12 is not found in unfortified plant-based foods. If taking B12 orally, take it sublingually (under the tongue for quick absorption into the bloodstream). Make sure you choose a B12 in the form of methylcobalamin (check label), since this form of B12 is absorbed best. If you are frequently tired, run down, get sick easily, feel cold often, have trouble concentrating, or have been a vegan or vegetarian for a long time without paying special attention to your iron needs, you could have iron deficiency anemia. In this case, supplemental iron can make a world of difference in how you feel, but otherwise, women do not need to supplement iron beyond what you get in your diet and multivitamin. Women who take a prenatal vitamin have healthier pregnancies and healthier babies, and reduce their risk of developing high blood pressure, gestational diabetes, preeclampsia, preterm birth, prenatal and postpartum depression. So overall, it’s a great idea to take a general prenatal multivitamin. I prefer plant based, organic brands, but the most important thing is finding one that has generally “clean” ingredients and that you can tolerate – as prenatal vitamins are, ironically, often nauseating to take during pregnancy. Since most pregnant women in the US are low in Omega-3 fats, taking a daily fish oil supplement is a smart choice. Taking a probiotic during pregnancy may help prevent preterm labor, and taking one during the third trimester can help protect your baby against allergies and eczema! After baby is born, I recommend remaining on your prenatal vitamin for at least 3 months, and if you are breastfeeding, until baby has weaned. Taking 4000-6000 units of Vitamin D3 daily while you are breastfeeding will give baby enough vitamin D3 so you don’t then have to supplement baby directly. Iron deficiency anemia is very common in pregnancy and should be checked for in your routine blood work. If you are low in iron, iron chelate is the most absorbable form, and is non-constipating. Supplemental iron is usually recommended at a dose of 30-60 mg during pregnancy; taking it with 500 mg of buffered ascorbic acid (vitamin C) makes it even more absorbable. How About in My 40s, 50s…& Beyond? • Accumulated oxidative stress – that means the impact of the environment on our body from years of just living and being exposed to the toxins we face in our world. This means being mindful to eat a diet rich in fruits and vegetables that contain antioxidants, and taking a multivitamin – as well as taking 500-2000 mg/day of Resveratrol (talk with your doctor first if you are on blood thinners), to help prevent environmental damage and slow aging. Resveratrol is the constituent in grape juice and red wine that is considered health protective. • Our bones: As we get older we naturally start to lose bone density, especially if we’re not doing regular weight-bearing exercise, so it’s important to get daily vitamin D3, at least 2000 units daily, approximately 800 mg of calcium citrate, 400 mg of magnesium, and vitamins K1 and K2 (about 50 mg combined) and boron, about 0.5 mg/day. There are products on the market that contain bone-supporting minerals in similar amounts to these. • Nutrient absorption: Stomach acid, which is essential for breaking down nutrients early in the digestive process, seems to decline with age. So I often recommend that women in their late 50s, and any women with bone density problems, add in 1-2 capsules of betaine HCL with each meal. This can greatly enhance nutrient absorption and is part of maintaining health bone. This is especially important for women taking a PPI medication like Prilosec for reflux, which interferes with stomach acid. However, check with your doctor before you start taking betaine HCL if you have any problems with stomach ulcers. • Inflammation: As our estrogen declines in our menopausal years, we’re more susceptible to problems due to inflammation. A favorite supplement of mine for this is turmeric in its concentrated form called curcumin. I recommend 1000-2000 mg of curcumin per day. Studies of fish oil as protective against heart disease have shown mixed results; I generally recommend it as it is anti-inflammatory, may be beneficial, and is generally safe. Standing in front of the supplement shelves in a health food store is overwhelming. Even with 30 + years of experience in natural health, I still feel like an ant on a giant mountain when I’m trying to find something specific among the bazillion companies, bottles, and dosing options at the store! Adding to further confusion are regularly appearing articles in the mainstream media warning us that what we think is in our supplements, really might not be there. Unfortunately, there are really no guidelines that say “this is a good product and this one isn’t.” for the most part, because the FDA requires supplement companies to follow what are called Good Manufacturing Practices (GMPs), we can generally rest assured that what’s on the label is in the product. GMPs are a set of requirements and standards by which supplements must be manufactured, prepared, and stored to ensure quality. 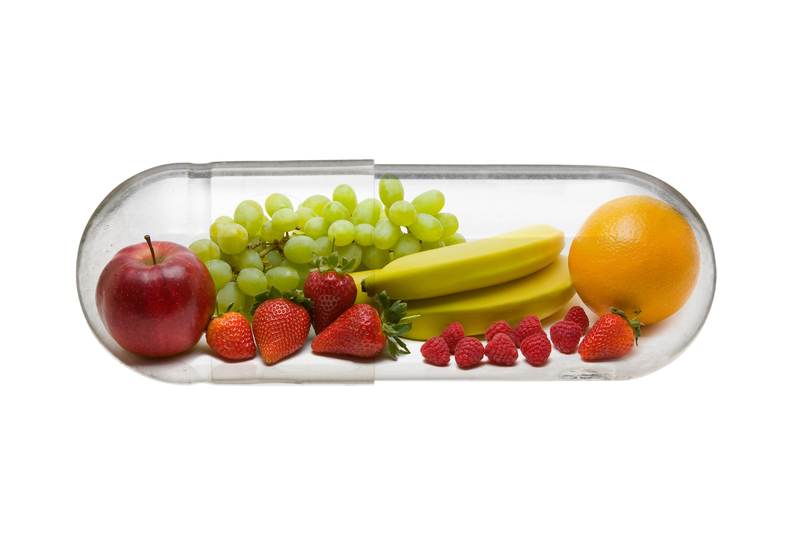 Manufacturers are expected to guarantee the identity, purity, strength, and composition of their dietary supplements. The GMPs aim to prevent the wrong ingredients from ending up in your supplements, supplements having too much or too little of a dietary ingredient compared to what’s on the label, and prevent excessive contamination levels due to pesticides, heavy metals such as lead, bacteria, etc. ), and microbes that you might not want in your supplement. I recommend selecting a couple of companies you like and that are considered reputable (for example, they are sold at a high quality store like Whole Foods) and sticking with those for most of your needs. You can ask your integrative doctor, your nutritionist, or the nutrition department staff at your local health food store – see what products they recommend most often and confidently. Most supplement companies carry a large line containing a wide variety of products to meet their customers’ varied health needs, so once you’ve got the company you can trust nailed, the rest is easy sailing if they offer what you need. I have a lot of confidence in Rainbow Light and New Chapter as health food store brands, and my nutritionist colleagues also add Jarrow to that list; the Whole Foods brand is reliable and high quality as well. There are also many quality brands sold only by licensed physicians, for example, Designs for Health, Metagenics, and Integrative Therapeutics, that are considered reliable. Go to the right place for supplements: While you can get supplements at any pharmacy, you can often find better quality, food-based supplements at higher end natural foods stores (i.e. Whole Foods) and health food stores, and help making your selection. An integrative or functional nutritionist can also help you to identify your specific needs before you head to the store for supplements. Ask for directions: I mean that as a joke – you know, how women are more likely to ask for directions than men…. but then we just stand there in the supplement aisle like a deer in the headlights, not knowing whether to run or just pick anything to get out of there. Instead, ask for help. Every health food store has staff dedicated to helping you choose supplements. They are paid by the store, not the supplement companies, and receive training on the various companies and products. While they are not nutritional experts and should not be giving you advice on what to take for this or that symptom, they can help you narrow down the products you are looking for based on the recommendations in this article. Help is good! Go for plant-based sources of nutrients: I prefer my nutrients to come from plant, rather than synthetic sources, whenever possible. While there’s no hard scientific evidence for this providing better nutrition, I do think that natural is better for us and the planet, so that’s what I use whenever possible. Avoid unnecessary ingredients: Many supplements contain fillers, binders, colors, flavors, and a host of additive ingredients. Some of these might be necessary to hold the pills together; but whenever possible, go for the simplest products with the fewest unnecessary additives. Avoid products with “miracle claims.” If it sounds too good to be true, it probably is, so walk away – or run! Remember, foods are our most important source of nutrition. But many of us can use a little extra boost of just a few nutrients to keep us humming happily along. The general vitamins and minerals mentioned in this article, with a few extra supplements for digestion, can take you from feeling pretty good to great. The Office of Dietary Supplements, a federal organization, provides thoughtful supplement fact sheets to help you learn more about individual nutrients. You can search those at no cost here. And if you have specific health concerns, team up with an integrative doc or nutritionist who is food and supplement savvy to help you get to the place you want to be – feeling fantastic! Bhupathiraju SN, Wedick NM, Pan A, Manson JE, Rexrode KM, Willett WC, Rimm EB, Hu FB. Quantity and variety in fruit and vegetable intake and risk of coronary heart disease. Am J Clin Nutr. 2013 Dec;98(6):1514-23. Dauchet L, Amouyel P, Hercberg S, Dallongeville J. Fruit and vegetable consumption and risk of coronary heart disease: a meta-analysis of cohort studies. J Nutr 136: 2006; 2588–2593. Hall JN, Moore S, Harper SB, Lynch JW. Global variability in fruit and vegetable consumption. Am J Prev Med. 2009; 36(5):402–409. PS Or if she has sarcoidosis, in which case it would be contraindicated, too. It is my understanding that when supplementing B12, it is important to also take the other B vitamins so you don't end up with a Vitamin B imbalance. Is there enough of the B vitamins in a multi to accomplish this balance? yes, prenatal multi's are generally formulated to meet your nutritional needs, including for Bs. So if I do get constipation occasionally due to IBM should I take magnesium citrate? I thought that was you had said but I wanted to clarify. If you are referring to IBS (I think IBM was a typo or LOL, a wishful Freudian slip!!!) :), then yes, that's correct. I would be interested in an article about how I could meet these nutritional needs through herbal teas, or at least offset them. Hi. I'm celiac and also dairy intolerant(severe symptoms in both cases diarrhoea vomiting sick for day after only cross contamination)is there anything that can make my dairy intolerance a bit milder or completely gone? Thank you so much. Kat. Thanks for this great article! I have read that the MTHFR variation affects more than 50% of all people. Also, I believe those with Hashimoto Thyroiditis should avoid iodine. Great, thank you! Two questions based in your post: MTHFR variation - I thought that meant you could not metabolize folic acid and eating plenty of leafy greens is even more important to get what your body needs. You're saying no? I thought that is what dr Ben lynch recommends for those with the variant. HCL + pepsin - I know you recommended this for older people bc of declining stomach acid. But I am wondering if you know if this is ok for pregnant/nursing mothers since it doesn't enter the bloodstream?? Thanks! I always love your approach and look forward to your new book! What time of day is best for taking supplements? Hi Aviva, I'm a big fan! Thank you for everything you do! Is it ok to take the extra magnesium while nursing or should i just stick with the prenatal vits? Yes, it is considered safe in appropriate dosing! Great article. Glad that i found your blog. I'm surprised Rainbow Light is so widely recommended for their Women's One and their Prenatal formulations. I totally get the appeal to take one daily as opposed to 4-6 pills. My concern is their products contain folic acid. Curious on your thoughts for something still easy to take but NOT containing folic acid. I've found several products but they all require 6 pills daily and I have a huge aversion to pill taking (worsened in pregnancy where I'm lucky to get a tiny folate tablet daily in me at the beginning). Blessings! I would love to know your opinion of the multivitamins from dōTERRA. Thank you! I have the book which I purchased after watching you on Dr OZ. I also have ITP and 40+ years of prednisone to control platelet destruction while it works its magic in destroying skin, bones, teeth, hair. etc. Also tested for thyroid malfunction for which I am supposed to take Synthroid. I do not like Synthroid and as my nutritional consultant said it is incompatible with Ashwaganda. Most of my supplements are MegaFood and Ashwaganda is a common ingredient. I tried MegaFoods Adrenal Strength and Thyroid Strength and results of testing showed really bad results for thyroid function and md's insisted I go back to Synthroid which i tried for a while, but now am going back to MegaFoods. Another chronic problem is really bad insomnia as well as inability to regain the 35 lbs I lost 2+ years ago after latest hospitalization. Anyway. I saw somewhere in your book that you have a website, newsletter, Q&A. daily support or somesuch and hope I have lit on it because that is something I would like to consult on a regular basis. I also have a whole spectrum of Ocean Robbins Food Revolution network information as well as Dr Perlmutter, Dr Hyman, Dr Mercola. and others.